Campsites and Holiday Parks that provide some entertainment. Please note that this may only be at weekends, and may only be in high season. Campsie Glen Holiday Park is in a picturesque rural location between the Campsie and Fintry hills in Stirlingshire, and is within an hour’s drive of Glasgow, Dundee, and Edinburgh. Beach? Yes. Swiming Pool? Yes. Kids Activities? Yes. Caravan or Motorhome? Yes. Check out our review of Presthaven touring park. The Lakeland Leisure Park accepts tents, trailer tents, caravans, and motorhomes. And since this is a Haven touring park, there are plenty of activities to keep the kids happy. Just outside the picturesque fishing village of Looe in Cornwall is Tencreek Caravan Park. Seaview Holiday Village provides static caravans on the south Cornwall coast near the beautiful villages of Looe and Polperro. Swimming pool and play park for the kids. Campfires and back to basics family camping in Hampshire at Abbotstone Wood Campsite.  Looking for a holiday park to take the kids in East Yorkshire? Check out Sand Le Mere holiday village. Ideal for caravans or motorhomes, or hire one of their statics. Inwood campsite is a back to basics campsite complete with family bushcraft activities. Read Anna's review of her family's break by the beach in France at Noirmoutier campsite.